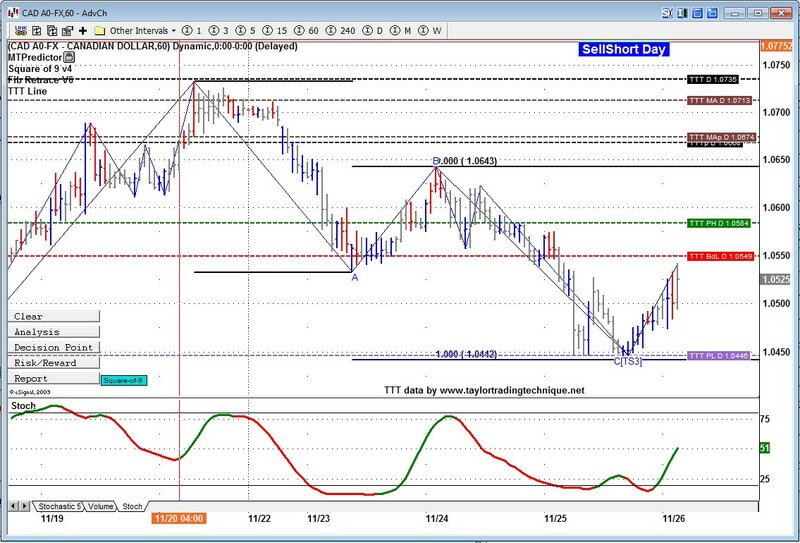 normal day trade chart it is gap up and TVGR effect. Dax has followed Globex ES and is up approx. 120pts. 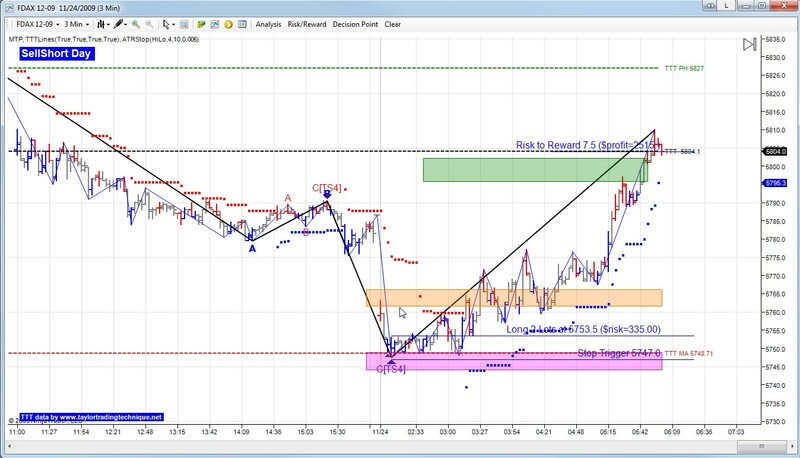 Today I looked at the DAX and although not a perfect TTT play there was a good trade to be had. 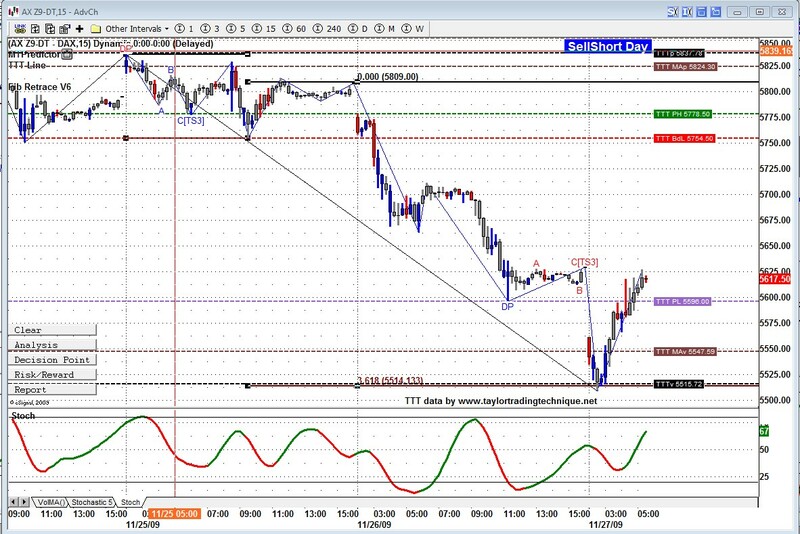 Market tested that level for over 1 hour today and then rallied for 25 points. We also had plenty of divergence to go with that. Last night during the updates I noticed that the USDCAD was on a SS day and that we were way below the Buy day Low. As far as waves are concern we had wave A=C and we had stochastic divergence. 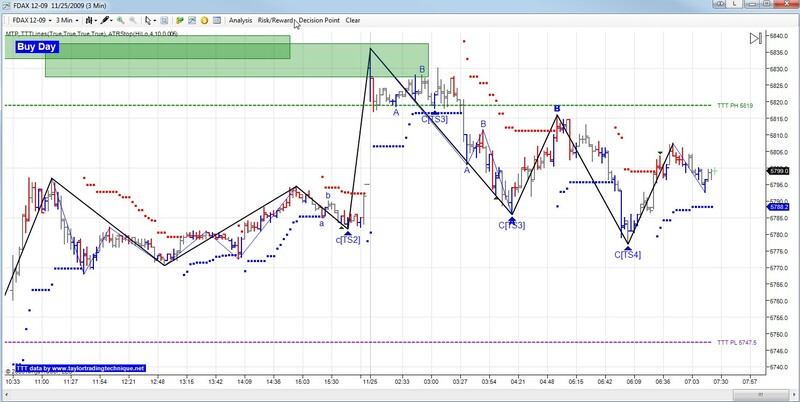 The low of the day was 1.0446 and I was able to go long at 1.0457 with a stop under the low of the day. 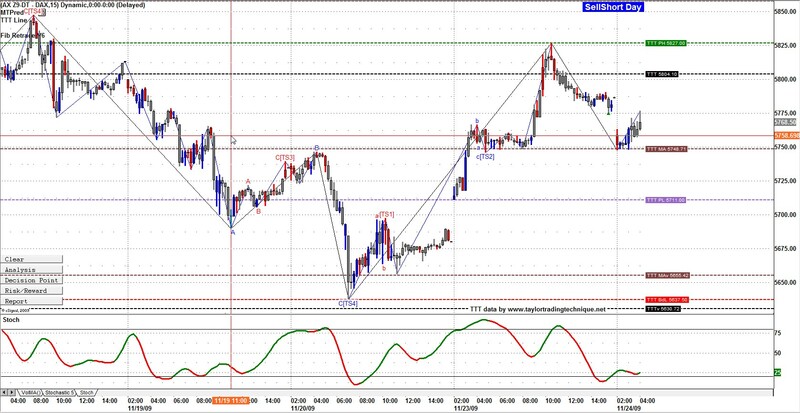 Today is SS day for the DAX As we can see from the chart we are way below the Buy day Low. Markets normaly atleast try to get back above the BdL when they open below that low on SS day. Today is no different and even if they dont make it they are really trying. 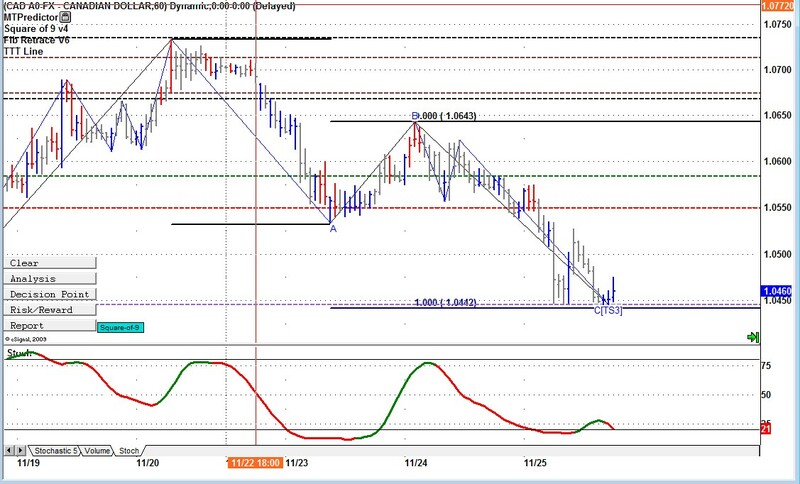 So far the down momentum took it to the TTT Violation levels which was also the 361.8% extention of wave 1. Also worth noting is the large devergence. From there the uphill battle started and so far up 100 points. Yes SS days are proving good for trading, although not strictly in keeping with Taylor's rules. Great trade on currency, even the GBP is showing strength and would have been a good long trade.